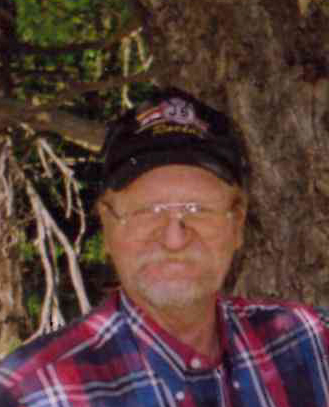 Gary Stern, 71, of Halliday, ND died suddenly on Saturday, March 23, 2019 on the family farm while he was working hard and doing what he loved best. Services will be held 2:00 PM MDT/3:00 PM CDT on Friday, March 29, 2019 at Our Savior’s Lutheran Church, Halliday with Pastor Dorothy Stein officiating. Burial will follow at St. John’s Cemetery. Gary was born on October 13, 1947 to Edwin and Hilda (Sailer) Stern. He attended Halliday Public School and went on to join the U. S. Army after graduation. Gary married Sandra Erdmann on June 2, 1973 and the couple resided on the family farm north of Halliday, farming and ranching their entire married life. In May 2017, Sandy passed away leaving Gary heartbroken. He missed her every single day. Their children, Cory and Jenna, find peace knowing that Gary and Sandy are reunited in Heaven. Gary had a love for farming and ranching his whole life. He greatly enjoyed working with his International Harvester tractors and other farm machinery in the fields with his son. Whenever they had equipment break down, Gary was very skilled at fixing things to get them back to work. Gary also enjoyed riding his four-wheeler to check cows, watching classic westerns and gathering eggs from his chickens. He had a love for animals, especially his loyal companion, his dog, Shogo. Gary found great joy in spending time with his grandchildren and seeing their mutual love for the farm. Dad and Grandpa, we love and and will miss you always. Gary is survived by his son, Cory; daughter, Jenna; four grandchildren, Cory Jr., Khloe, Jaelyn and Kaylee, all of Halliday; one sister, Sandy (Wayne) Stuhlmiller of Bismarck; two sisters-in-law, Arliene (Gerald) Scheurer of Golden Valley and Marlene (Duane) Vastag of Mandan; numerous nieces, nephews and cousins; and his special dogs, Shogo and Sparky. Gary was preceded in death by his parents; his wife, Sandy; one grandson, Allen Stern; and his mother- and father-in-law, Sam and Dorothy Erdmann.